Learn how to start an affiliate marketing site or perfect the one you already have. Courses led by industry professionals and college professors are frequently on sale for up to 90% off the sticker price. Good online courses are a great way to do this, and this article will help you find the right classes for you. What Makes a Great Affiliate Marketing Class? Whether you want to start out as an affiliate marketer or you’re already doing it and want to raise everything to the next level, a good course can get you there. But there’s no shortage of online classes out there, so it’s important to keep a few things in mind as you choose between them. Just like with any other class, you need the instructor to be someone who truly has a lot of knowledge to share. 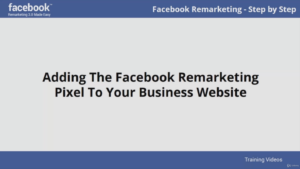 In this case, you’re either looking for people who have had notable success as affiliate marketers themselves or for people with academic backgrounds in marketing. When you’re paying for an affiliate marketing course, the equation is simple — you literally pay money to learn how to make money. In that sense, the cost is worth it. But it’s also true that you may have a limited budget, so the money you need to part with is always a considerable factor when making a decision. When you consider the factors above along with a few others, we’ve compiled a list of nine affiliate marketing courses that are definitely worth considering. They all offer something different, so it’s up to you to decide which suits your needs the best. If you’re an affiliate marketing newcomer, these courses can help you start off on the right foot. This 42-minute step-by-step class is a great starting point for your journey into the world of affiliate marketing. You’ll learn to find profitable niches, how to set up a website, create content to promote your offers, find keywords to help you gain visibility, etc. It’s also very affordable. The premium membership will set you back either $15 or $8.25 per month, depending on the time period you opt for. Not only can you go through this course but you can also access many others. After going over the fundamentals of affiliate marketing, this course focuses on the website aspect. It explains the importance of finding a niche, helps you choose a good domain name and then takes a thorough look at everything that goes into building a successful affiliate website. The author, who has published several related books, demonstrates every step of the way so no previous experience is needed. Its price is between the other two classes in this group so this course provides a solid guide to website building. With seven hours of video and numerous downloadable resources, this course’s comprehensive nature justifies the slightly higher price tag. The instructor is a best-selling author who brings plenty of practical and theoretical experience. 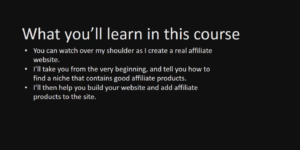 The course explains how to start an affiliate business that can earn you a passive income, how to select and promote the products, which mistakes to avoid and more. It also offers personalized advice. Compared to the previous group, these courses go a bit more in-depth. Of course, in addition to product creators, it can also be of use to affiliate marketers who want to learn how the “other side” operates. Just like the very first course we mentioned, the subscription to Skillshare can really be worth it if you’re interested in several classes. The subscription to Lynda (now under the banner of LinkedIn Learning) will cost $29.99 per month (or $24.99 per month with an annual plan), but there is also a free trial. ClickBank is an online platform widely used for affiliate marketing, and this course focuses on teaching the students how to make the most of it. From selecting the most lucrative products to tracking keywords and creating profitable marketing campaigns, this class will shine a light on the inner workings of ClickBank. The course comes with a somewhat hefty upfront fee, but it includes a lot of resources, strategies and regular updates which keep it relevant. Finally, this group of courses covers the more advanced aspects of affiliate marketing. 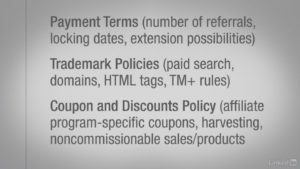 Just like the first course in the previous section, this class is designed primarily with product creators in mind as it explains how affiliate programs can benefit them. Again, marketers can also derive value from it. It is moderately priced compared to the following course and aims to answer very specific questions. 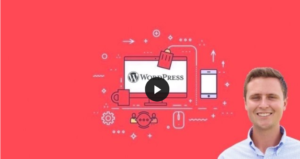 Jam-packed with over 400 individual lessons, this course will require you to invest a fair bit of your time, but it has numerous answers, tips and strategies to help turn you into an advanced affiliate marketer. 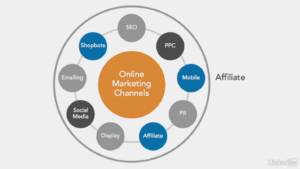 Affiliate marketing is no simple matter, as it involves many different aspects. But with the right guidance, you can master its ins and outs and supplement your regular income, or even turn it into a full-time career. Hopefully, these courses will help.